Above all, primary challenges to incumbent presidents require a galvanizing issue. It’s very doubtful that the grab-bag of complaints floated by the Democratic electorate — Obama’s legislative strategy during the health care fight; his relative friendliness to Wall Street; gay rights; human rights; his refusal to prosecute Bush administration figures for war crimes or privacy violations — would be enough to spur a serious challenge. And while Afghanistan is an increasing source of Democratic discontent, it’s hardly Vietnam, and Obama has promised to reduce troop levels sharply by 2012. The timing of Kilgore’s supercilious disregard of a challenge to Obama’s presence atop the 2012 ticket could not have been worse. Thanks to the efforts of the late Mark Pittman, a Freedom of Information Act lawsuit filed by Bloomberg News has forced the Federal Reserve to disclose the details of its bailouts to those business entities benefiting from the Fed’s eleven emergency lending programs initiated as a result of the 2008 financial crisis. The Fed’s massive document dump on December 1 (occurring right on the heels of the WikiLeaks publication of indiscretions by Obama’s Secretary of State — Hillary Clinton) has refocused criticism of what Kilgore described as the President’s “relative friendliness to Wall Street”. Although Mr. Obama had not yet assumed office in the fall of 2008, after moving into the White House, the new President re-empowered the same cast of characters responsible for the financial crisis and the worst of the bailouts. 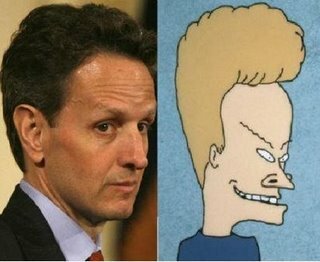 The architect of Maiden Lane III (which included a $13 billion gift to Goldman Sachs) “Turbo” Tim Geithner, was elevated from president of the New York Fed to Treasury Secretary. Ben Bernanke was re-nominated by Obama (over strenuous bipartisan objection) to serve another term as Federal Reserve Chairman. I hope it doesn’t take “a 1937 moment” for the Democrats to appreciate the very serious risk that the Palin family could be living in the White House in 2013.